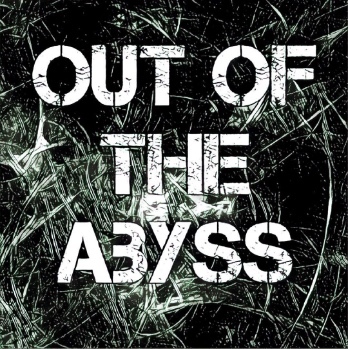 This is the first chapter of a very long guide for DM’s to run Out of the Abyss. 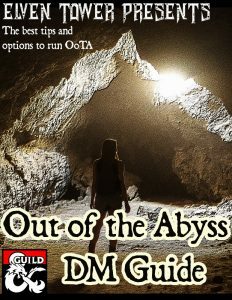 The OoTA book is a great resource and campaign, unfortunately some things are left unexplained or simply badly arranged in the book; this guide’s aim is to provide rookie and veteran DM’s alike with extra information and clarifications for the campaign. Some of the stuff in this guide are as they are in the book, only better explained. Some other stuff are just my suggestions to achieve the most fun. There is also some homebrew content like graphs, maps or side-quests. In this chapter I recommend the survival of certain key NPC’s that have some encounters or things tied to them in later chapters. Although it is advisable plot-wise. You’re free to kill them all in the first chapter if you want. The adventure begins, and PC’s are prisoners. What are the important things to pay attention to this chapter? First things first, the NPCs are and will be an integral part of the first part of the campaign, maybe even after that. A great ice breaker is to let the NPC’s and the PC’s share stories about how they were captured by the drow. During their imprisonment they are forced to do things for Priestess Illvara’s amusement, pair the PC’s with a random NPC to continue the rapport. The most likables in my opinion are Stool and Jimjar. Eldeth Feldrun.- Because of her protective and selfless character she might die early on. She is well spoken and knows how to behave in formal occasions. The only thing to remember is that she will ask for her weapon and armor to be returned to Gauntlgrym in case she dies (and in case the they retrieved her equipment). Buppido.- He is a big shot, he is a psycho who believes himself to be a god, but he won’t say it, it’s his secret. Roleplay him with a low raspy voice, you should portray him as a very cunning person. Remember to play his sadistic personality and maybe have him kill some other NPC in his sleep. It is important that he is still alive when the party gets to Gracklstugh. He has a shelter/temple there and will betray the party and try to kill them (page 70). Ront.- I felt this character was a little too empty. He is one of the characters that can be sacrificed early on for Illvara’s pleasure. If you wish to go the other way, then after they reach the surface he will seek his tribe. Jimjar.- Fun, cocky and maybe bothersome. Addicted to gambling and betting over things. He’s got a high pitched voice and usually starts every sentence with “I bet….” or “Bet you (something) that…”. This guy won’t do much in terms of survivability, however it is important to notice that in the last chapter they give you a crazy alternative. Jimjar in fact is and has always been a god in disguise (page 217). Even if he dies he will show up at the end of the campaign to give the adventurers a boost. Which god depends on the DM. Sarith Kzekarit.- The thing with Sarith is that you have to remember that he is infected with Zuggtmoy’s spores. Role play that he often has headaches; and he will always approve the idea of visiting Neverlight Grove. Also he may be Stool’s friend/companion. It’s important that he is alive when the party gets to either Gracklstugh or Neverlight Grove. In Gracklstugh there is an opportunity for him to go along with some other infected myconids to Neverlight Grove (page 72). If the party goes first to Neverlight Grove, then the other section is skipped. His bit in this place is to go with the party to the garden of welcome, where his head will burst open and transform him into a spore servant (page 91). A very dramatic moment. Roleplay him always cautious and calm, almost whispering every sentence. Stool.- All time favorite Stool ! It’s the fact that he is so harmless and unprotected that makes people want to take care of him. But there’s also his usefulness; because of his communication spores he is a valuable asset for the adventuring party. He has a friend in Gracklstugh, Rumpadump (page 72), and both of them are known in Neverlight Grove. Shuushar the awakened.- what can we say…. He won’t help fighting but he has knowledge about the general area and can be a guide to Sloobludop. You can have him die when Demogorgon crashes his town. You can work the angle that he is enlightened and has a new way of life and teachings for the Kuo-Toas (all the result of his madness). Although it will take long before his friends listen to him. If he makes it to the end of the campaign, long after Demogorgon’s attack, he is a respected member of the community which serves as a judge for tribe’s feuds and helps with the recovering town resources (page 147). Roleplay him with a staccato, raspy, gargling, watery voice, enunciating everything backwards (Yoda like) “travel to Slubludop, the way to go is”. If cured from his madness (unlikely as he actually seems saner than most), he reverts to natural Kuo-toa insanity “Peace and calm, a stupid idea is. What was I thinking? To survive, fight we must”. Derendil.- He says he is an elven prince but he is really just a deluded quaggoth. He is a great combat boost for the party, but has the risk of going berserk. Make sure to read my other posts about Derendil. There are great alternatives for this NPC. He has perfect command of high elven, although he sounds dated. Think middle english (Shakespearean). Topsy and Turvy.- These two gnomes are wererats. Because they fear their condition to be known, they are extremely wary. Most likely they will escape on their own or abandon the party when they escape. They might show up again under the wing of the Goldwhisker clan in Blingdenstone later on. Preparing the food and then starve them 2 or 3 days. Moving scores of heavy boxes from one place to another and then back. Scrubbing the floor, then again, and again, the cleaner it is, the more they have to do. If Illvara kills someone, she can have it hacked to pieces, then the PC’s have to feed the spiders. Learning how to do drow craftsmanship like sculpting spiders from black stone, then have Illvara destroy them as they are not worthy. “Fishing” in the waterfall, mostly the catch nothing, and the water is icy cold. The PC’s stuff, according to the book is in Illvara’s quarters but this will prove to be a very difficult place to reach. If the campaign started in level 1, I recommend changing the location to a storage space in the guard tower (page 14), where there is a drow elite warrior and a regular drow on watch. There are many ways in which this chapter can go down, but the one that I consider the more likely and dramatic is: Jorlan Duskrin, who is the priestess’ ex-lover is just around to be mocked at and humiliated. His injuries prevent him from being efficient. He resents her and will help the prisoners escape just to see her reputation go down among the priestesses ranks. He might slip the PC’s a key, or arrange to leave the door open after a change of guards. After that, it’s the PC’s thing to escape, he doesn’t even care if they make it, the escape attempt alone is enough to satisfy him. The odds are against them as there are lots of drow and quaggoths, however, at the most appropriate moment during the escape sequence, the demon packs will do their thing (page 16). This is best performed if the PC’s are in a losing situation against the drow guards, then suddenly, the demons attack and the drow will go into “settlement defense mode”. They won’t care about the PC’s at least for the moment. It will give them the chance to jump to the spiderwebs or to try and use the lift. Once they escape they might have to fight the grey oozes in the lake. After that, if they aren’t too beat up, there is an optional encounter with a weakened Vrock. This one is great to set the demonic tone and the unbeatable odds tone; which will be strengthened in Slooblubop. Thanks for the article, very well written and informative. The module however sounds just horrible, the worst excess of vile DMing I so often encounter from WotC, so I’ll do everything in my power to avoid playing it at all. Hahaha this was so funny. It does not come across as vile dming for lots of folks though. You could give it a chance maybe. I’m also written stuff for Curse of Strahd. In case you’re interested. Thank you very much Doug! I greatly appreciate it. Merry Christmas! Derek, I believe firefall there is talking about OotA in general not your DM guide or article. Thanks for the guide sir. You’re welcome sir! Hope it’s really been useful to you so far.